Do you want to mix two mp3 songs together? Do you want to mix one song with a dancing music? MP3 Mixer-Recorder helps to mix two songs together. MP3 Mixer-Recorder can also record the mixed song in to mp3 format file so that you can play the mixed song in other mp3 players. 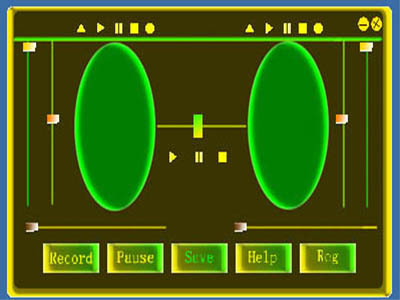 ...... MP3 Mixer-Recorder will mix the songs together. When it playing, you can record the mixed song by clicking button 'Record'. After recording it, you can save the mixed song by clicking button 'Save'. To get better mixing result, you can change the volume or speed of left song or right song. Qweas is providing links to MP3 Mixer-Recorder 1.2 as a courtesy, and makes no representations regarding MP3 Mixer-Recorder or any other applications or any information related thereto. Any questions, complaints or claims regarding this application MP3 Mixer-Recorder 1.2 must be directed to the appropriate software vendor. You may click the publisher link of MP3 Mixer-Recorder on the top of this page to get more details about the vendor.